If you’re making a decision to create or grow your simulation program, you likely have a lot on your mind. You’ve probably weighed and re-weighed all of the advantages of different products and solutions. And, you’ve likely spent time assessing and reassessing your program design and goals. So, how do you ensure your success? One answer lies in choosing the right provider partner. Our experience tells us that the best way to ensure success is to select a provider who will support your goals with the intent of creating a true partnership. Here, we share six qualities that our customers and industry experts tell us are worth considering. Customers get the most out of relationships with like-minded providers — those with a similar mission, vision, values and culture. Over time, personnel can change, business processes will improve and new technologies will be introduced. However, while these can all have a profound effect on a provider’s capabilities, the provider’s mission, vision, values and culture typically remain consistent. Finding the right cultural fit is essential from the start. When the customer and provider’s missions and cultures are in harmony, everyone benefits from a more productive, successful relationship. Does the provider take its mission - and yours - seriously? Are the provider's employees passionate about helping customers reach their goals, regardless of the role they play in the organization? Does the provider's organization practice selfless service to ensure that your needs are met? Like most buyers, you probably can’t predict the extent to which you’ll need assistance implementing a new program. Inevitably, issues will arise — especially for an organization that is new to simulation. You’ll need accessibility to experts to answer questions and make recommendations. In addition to knowledge, suppliers also need resources. The right partner is prepared to do a lot of coaching, encouraging, even handholding. That takes an organization designed as a service organization, not just a manufacturer/supplier. There needs to be support behind you. ‘Here’s how the manikin works. Here’s what it does. Here’s how you fix it, how you trouble¬shoot it. Remember, simulation isn’t just about the simulator. It’s about installation, user training, and educational support to integrate the methodology appropriately for your desired outcomes. Many customers require emergency technical support, and in some cases, the ability to conduct simulations on their behalf. Make sure your chosen partner has the capacity to serve all these needs and then look at it in the context of your desired workflow and operational approach. What are your needs? Avoid bells and whistles that don't match the requirements you've outlined. Which providers are your respected colleagues using? Seek out organizations with first-hand experience for valuable advice and referrals. Can they support your material and service requirements in a timely manner and at a reasonable cost? Customers often overlook accessibility and ease of communication when evaluating the right buyer/provider relationship. There’s no substitute for candor and speed in provider communications. This principle is especially true regarding matters that are critical to your goals. From production delays to product nonconformities, effective communication can prevent a variety of problems and offer many benefits. According to Entrepreneur magazine, the best suppliers check in regularly to discuss how your needs may be changing and how they can serve you better. Do providers communicate using your preferred channels, or do they insist on methods that don't necessarily work for you, such as text versus email? Do they clearly outline the steps in the delivery, installation, and training process prior to your signing a contract? How do they typically address changes to the status quo, such as a delivery date that's in danger of being delayed? Accountability is a long-term behavior. Companies with a short-term mindset or culture don’t think in terms of accountability. Generally, they won’t be the best fit for a simulation partner. 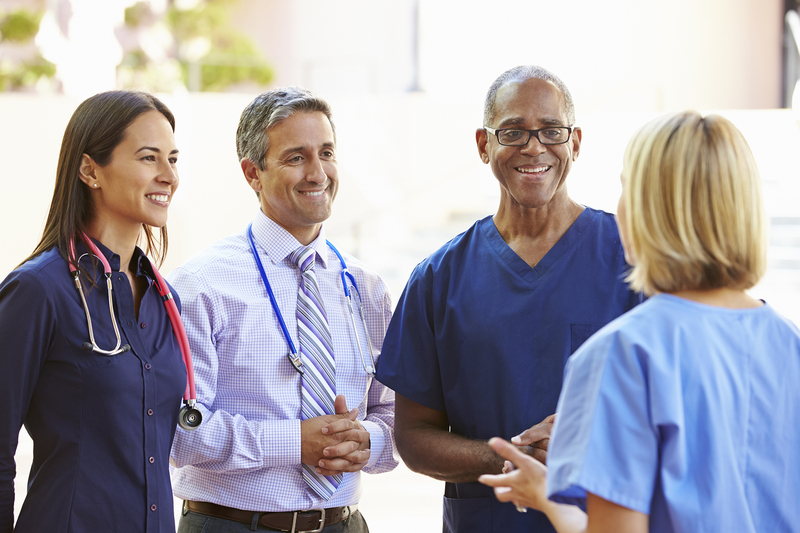 Healthcare professionals across the country are working to create a culture of accountability. Why not select a supplier that feels the same way? Dr. Amar P. Patel, director at the Center for Innovative Learning, WakeMed Health and Hospitals, says, “No matter what partnership I look at, it’s what they bring to the table and what I bring to the table. How much do they actually care about the success of our programs? …[Whether] they look at us and say, ‘We want you to be successful. How can we help you get to that point?’” These are marks of a provider who is invested. Admitting to a mistake is not always easy, but when your performance is on the line, it’s essential that you’re working with a supplier who actively works to remedy a wrong. A supplier with accountability will take responsibility and go the extra mile to address issues quickly. A supplier without accountability is more likely to deflect and pass along the blame to you. What quality control measures do prospective simulation partners have in place? Ask potential suppliers for examples of how they've taken accountability and addressed issues that may have arisen with other customers. Do they have a proactive plan in place for troubleshooting and addressing errors? How do they communicate firmware, software, and product updates? Budgets can fluctuate unpredictably. Funding that seemed guaranteed can suddenly disappear. On the flip side, financial grants can sometimes appear without notice. That’s why a provider’s level of responsiveness and commitment to your simulation program and goals shouldn’t be dependent on your budget. Whether it shrinks or grows, they should be prepared to help you make responsible decisions. A good provider will take a conservative approach and guide you to make the most economical decisions that will enable you to meet your simulation objectives. For any partnership to be successful, each party needs to feel a sense of support about the collaboration. That starts with forging a sustainable relationship no matter your budget. Ask trusted colleagues how their simulation partner navigates changing budgets. Are they nimble when dealing with change or resistant? Do they discuss alternate approaches and products? The ideal provider introduces its customers to new ideas, technologies and industry relationships. They’ll be interested in expanding your horizons and helping your organization achieve its potential. They’ll also act as the catalyst to help you generate your own innovative ideas. If you’re new to simulation, you may not understand the simulation world and how it’s constantly evolving…but, that’s okay. “At this point in simulation, no one should feel like they’re alone in trying to figure it all out,” says Dr. Ivette Motola, Director at the Gordon Center for Research in Medical Education. A provider you can count on will walk you through how simulation is evolving and serve as a resource for talking through the advantages and pitfalls of various options. How proactive are your potential partners during the exploratory phase of your relationship? Do they offer suggestions and new thinking from the start? Do they view themselves as fellow stakeholders or simply transactional providers? The simulation products, services and programs you buy must meet your needs and specifications. For your simulation efforts to succeed long-term, however, it’s about much more than merely the equipment. A mutually beneficial relationship with the right provider will make your investment in simulation come alive. Emanuel EJ and Emanuel LL. What Is Accountability in Health Care? Ann Intern Med. 1996;124(2):229-239.